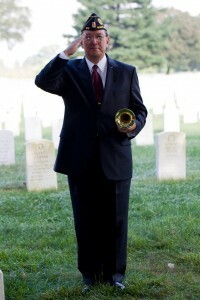 Find a Taps Bugler for Funerals or other Ceremonies-Taps Across America! 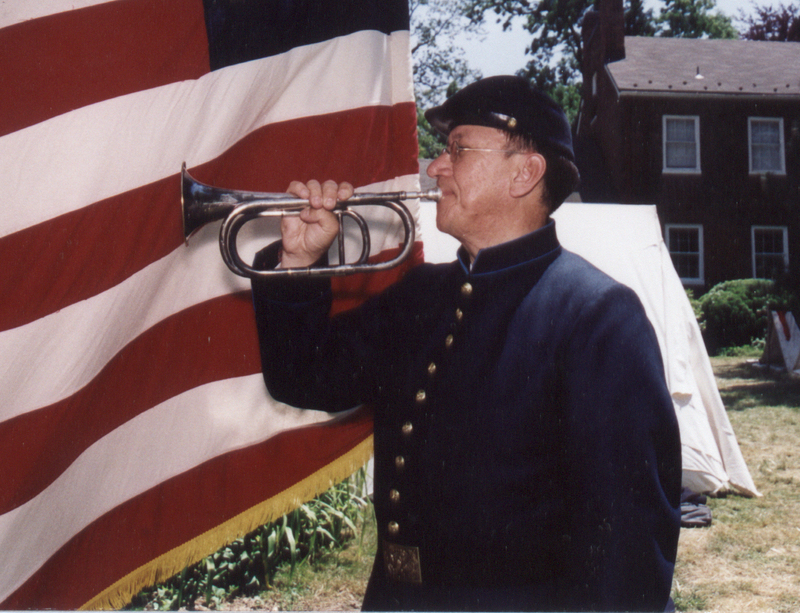 Bugle calls can be an important part of many special events. Whether sounding a call for attention or announcement, sounding To The Color at a patriotic ceremony, or performing Taps at a funeral or memorial service, Taps Bugler can provide this service to you or help you to find a bugler in your area. I have performed at Memorial Day and Veterans Day services in the Baltimore/Washington area, at many funerals and church services and at many Civil War related events. I sound Taps in a military uniform, Civil War uniform or dark suit, to fit the occasion. If you are within 100 miles of Baltimore/Washington DC and you are looking for a bugler to sound Taps at a funeral, EMAIL ME, JARI VILLANUEVA or reach me by phone, (443) 801-5274. If I am not available to talk, leave a message and I will return your call. There are other organizations that provide buglers for funerals. There is not one American that has not been touched by its haunting melody just 24 notes, but it’s clear, sad tones conjuring up memories of loved ones lost or instilling hope and bringing comfort and peace. It’s the song that gives us that lump in our throats and tears in our eyes. 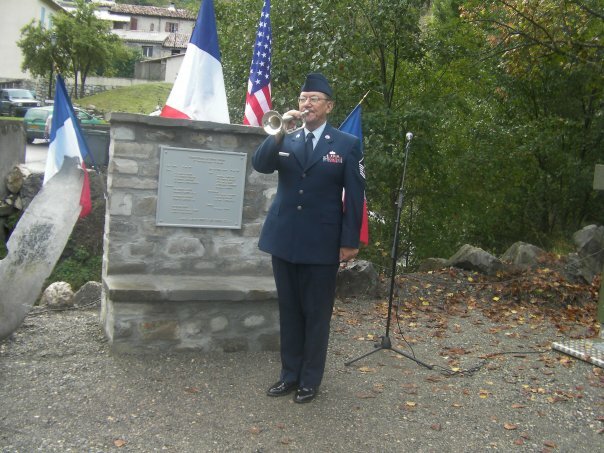 TAPS FOR VETERANS is an web-based organization led by former military musicians and active and retired military veterans who acutely understand the importance of properly sounding Taps, our “National Song of Remembrance” as a way of expressing the nation’s gratitude for a veteran’s service. TAPS FOR VETERANS is looking for buglers from across the country. Buglers may be former or active military, civilian, student or professional. Ultimately, buglers with a strong desire to serve our nation. This service organization gives high school trumpet players an opportunity to use their musical gifts to serve others by sounding Taps and performing at community events honoring veterans. Their volunteers have certification from their school band director in ability to perform a quality Taps and have completed training in their role on the Final Honors team. Volunteers are also available to perform solo and ensemble trumpet performances of the US National Anthem and service songs of the five active duty military branches. Currently they have volunteers in Oklahoma and Texas and are expanding into other states.